Am I Insane, or Insightful? 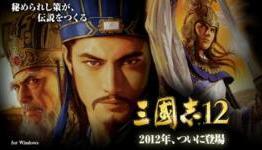 Tecmo Koei has announced the debut of Romance of the Three Kingdoms XII. (It’s so new, I can’t even get Amazon to give me a link because it’s not sold in the U.S. yet.) However, the very title should give you some idea of the popularity of these games: they’ve made twelve versions. 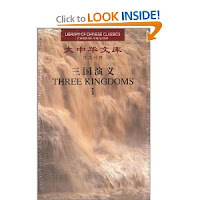 I was aware when I began writing “Mourn Their Courage,” which is also based on the novel, Romance of the Three Kingdoms, that the games were popular. They were probably on version eight back then…. So tell me, am I insane for hoping to either package my book with iphone versions of this game or (even more insane concept) launch a video game version of my book? I KNOW this is putting the cart before the horse. The book isn’t even accepted for publication yet. But isn’t this exactly the sort of market placement thinking they keep telling us to do? Is it my only marketing concept? Of course not, but is it a valid? Okay, I’ve pleaded for help from tons of Beta Readers and it just dawned on me, at least some of my followers haven’t seen the opening pages of this book and might be willing to humor me with their opinions on this rewrite. I need to know, are you confused by this? Liu Jie reached the garden beyond the orchard, breathing the rotting peaches’ cloying sweetness as he slid to his knees. The moon’s bony face illuminated the leafless trees, but shadows and fears haunted his thoughts. We traveled to meet the emperor and stop a civil war. Not fight in one. I cannot kill my countrymen – my brothers. But I must. The Imperial summons he’d just read commanded “the aid of all men as sons might come to their father.” He trembled with revulsion. After his family and guards had stopped at the Peach Orchard Inn this afternoon, his son had discovered a starving child here in the garden. Jie had taken the Orchard Boy inside and his wife cared for him now. Could the act of saving a life atone for taking thousands? He looked at his hands. Though they’d touched the rich soil, they appeared unblemished in the moon’s cold light. How bloody would they be before the coming civil war ended? The next morning, the wood panels of Jie’s small room groaned. Jie shut the door behind the man who had agreed to feed and help train his army. Jie shook his head, smiling. It was as if Tong Zhang’s mere presence pushed against the walls. “Zhang, this is my wife, Mei.” They bowed to one another, but Mei held a bowl of warm water in her hands, and turned to the bed and her patient. She pulled aside the bed’s curtain and the Orchard Boy woke, squinting through half-shut lids. Jie heaved a sigh of relief. We did it. We saved one person. Zhang towered over the boy. “Are you the Demon King?” The boy’s voice rattled and wheezed as he shrank away under his blanket. Zhang laughed, and the Orchard Boy tried to sit. “No priests,” the boy muttered. “He might do anythin. . .” He collapsed, but turned as if to listen when Jie knelt beside the bed. They poured tangy chicken broth into Aiyu and bathed him in warm water until he slept again. For those of you who have read my first Excerpt Monday release, this is my newest attempt at a rewrite. I would REALLY love suggestions/critiques. Once a month, a bunch of authors get together and post excerpts from published books, contracted work or works in progress, and link to each other. You don’t have to be published to participate just an writer with an excerpt you’d like to share. For more info on how to participate, head over to the Excerpt Monday site! or click on the banner above. Liu Jie had known for months that war brewed beneath the surface of his quiet country. And now it has come. He closed the door of the room he and his family shared. The clamor of voices from the inn’s first floor enveloped him in an instant. It was twice as loud as when they’d arrived at the Peach Orchard Inn last night. When he’d read the notice. Servants took long poles and, from hooks above the railing, lowered paper lanterns. The lanterns were a novelty that had not yet come to Jie’s homeland and he observed with interest as the servants lit the bright yellow globes and rehung them. The fragile lights swayed as he passed. He stared over the railing at the crowd and grimaced. The room was packed with people vying for space to read the Imperial summons tacked onto the wall behind the bar. All I wanted was a cup of rice wine and a meal. He sighed and went downstairs. Farmers and merchants jostled one another in the aisles. Shouted drink orders and clattering dice assaulted his ears. He stepped off the landing, breathing in the smells of heated wine and steamed vegetables. He desperately wanted to talk and laugh with his oldest brother, Mihei. But Mihei was dead. Killed by raiders when Jie was a child. He shook himself free of his thoughts. Long ago he promised his wife he would leave the past where it lay and not resurrect his lost loved ones. Never an easily kept vow, it seemed more difficult than usual now that he stood on the brink of a war where he might lose more family. Scores of men gathered at the bar. They noted his rank cap and a few left to make room for him. “It’s not necessary,” Jie protested. He gestured for them to sit beside him. One of the men glanced again at the colored bands on his Chuntze cap. The hat was black and sported yellow silk bands for nobility, blue for mastery of martial arts. The man bowed, walking backwards into the crowd. I should have taken the cap off before I came in. Too late now. He caught the innkeeper’s attention and ordered his meal. Then he reread in a glance the notice that would change the lives of so many. “The Son of Heaven requires the aid of all men as sons might come to their father. Yellow Turban rebels assault the people and threaten the capital. All districts report.” The crimson ink of the Imperial Chop blazed in a corner. If he could reach the rebels, and talk to them…. He shook his head. Regardless of how they came to be traitors, he must plan how to stop them. Jie sat at a small table. A group of boisterous young farmers sat at a nearby table and a game of sixes commenced with a clatter of dice. Voices and noise blended into a monotonous drone. When the innkeeper brought him warmed rice wine and a plate of dumplings, he barely tasted the food. Instead, he used his chopsticks and wrote plan after plan in the congealing sauce. He abandoned every scheme. Each strategy required him to send spies out to learn about the Yellow Turbans. Were they merely criminals, stealing food and clothing, or were they traitors raising an army to overthrow the Emperor, Jie’s nephew? This information seemed necessary to Jie, but gaining it did not respond to his Emperor’s summons. Jie might have saved countless people if he had reached his nephew a month ago. Now, the Son of Heaven demanded that Jie attack his countrymen. He committed treason if he acted counter to Imperial commands. He must either go to the capital and enlist, or gather an army from the countryside and lead men into battle as ordered. He glared at his useless plans and groaned. Jie nodded and the warrior sat opposite him. The innkeeper brought two large cups filled with wine. The warrior drank half of his in a gulp. “I am Tong Zhang.” He pushed aside Jie’s plate to make room for his cup. “Noticed you were making plans just now. Let’s talk war.” He pointed at the notice. Something about Zhang touched a memory. Not his bristling beard or forehead-spanning eyebrow, but his presence. Jie couldn’t place it, but the thought soothed like silk and was as hard to break. He pushed it aside. Jie chuckled and nodded at this heaven-sent partner. With Zhang as his support, Jie could command as he wished without enlisting. But was Zhang trustworthy? Was he a leader? Jie unraveled the skein of thought from moments before. He knew why Zhang made him laugh. Zhang reminded him of his brother, Mihei. Note: I have not personally screened these excerpts. Please heed the ratings and be aware that the links may contain material that is not typical of my site. And just as a reminder, please make sure to sign into the contest I’m sponsoring this month, make a comment and maybe win some cool stuff. If you’ve already done so, make a comment here and you’ll score some extra points. I can’t take credit for this one, either. It’s many thanks to Eve in the Authors of Asian Novels Group. A new magazine (short story market) is available at http://kunlunjournal.blogspot.com/2010/12/welcome-to-kunlun-journal.html. He’s especially interested in Wuxia, which is the type of story where you have a wondering warrior. Think “Seven Samurai,” “Lone Wolf and Cub,” etc. My own story is a member of the Wuxia family as it’s based on one of the early Wuxia classics, “The Romance of the Three Kingdoms.” If you’re interested in helping me polish the new opening I’ve made thanks to Tessa Elwood and Donna Hole (you ladies have my gratitude and a critique coming whenever you need it! ), go to Mourn Their Courage and let me know if you have any questions. Are you aware of any markets I should post about? (I’ll give you credit and many thanks.) Do you have a critique concern you’d like to share? Drop me a note and we can brainstorm. Cool news for yours truly! Laurel and Laurel’s Leaves chose my scene from “Mourn Their Courage” as her first runner up scene in her Eleventy One Contest. I’m thanking God for this and the Sandy. They’ve given me hope this month. As an addendum, I encourage everyone to check out all of Laurel’s comments. She’s got some great insights, not to mention a very gracious style. Laurel’s contest centered around a dialogue-driven instance of negotiation or persuasion. In my scene, the former Chancellor/would-be usurper uses persuasion. All comments, suggestions and critiques are welcome. An ascetic, narrow-faced man covered with scars approached. At first, Xiongli believed he was another servant. Then he noticed the direct gaze and confident stride, so he rose and nodded his greeting to Yang Wu, Guild Master of the Brothers of Life. Wu returned the nod, but did not bow. Xiongli smiled. Everything he’d heard of this man might be true, then. “We can return to my office where it’s warmer, my Lord,” Wu said. He politely did not comment on Xiongli’s guards who stood within sword range. “It is an overreaction, my Lord. This is a guild. We have no political goals.” Wu gestured to the marble bench, and they sat side by side as if they were old friends. Birds sang and the creek feeding the pond continued its chatter, but Xiongli clutched a dagger inside his sleeve. Xiongli’s face flushed and the smile vanished. He calmed himself. If Wu wanted to attack, he would have done it by now. This man had ambitions, and Xiongli knew how to work with men like that. Wu stiffened. It was the slightest of reactions. A flick of rice cake. A tic of facial muscles. Yet the implied threat was received. Now the enticement. “You can deny him whatever you wish,” Xiongli said. “He is a traitor to the Empire and should be denied.” Silence reined for a moment as Xiongli let his words sink in. Threat, offer and threat were made. Now Xiongli forced himself not to smile. Yang Wu crumbled the last of the rice cake between finger and thumb. “Please excuse me for not seeing you out.” Wu stood. He left Yang Wu standing beside the pond where carp swam their placid, uneventful courses amid a garden of cypress and bird song.